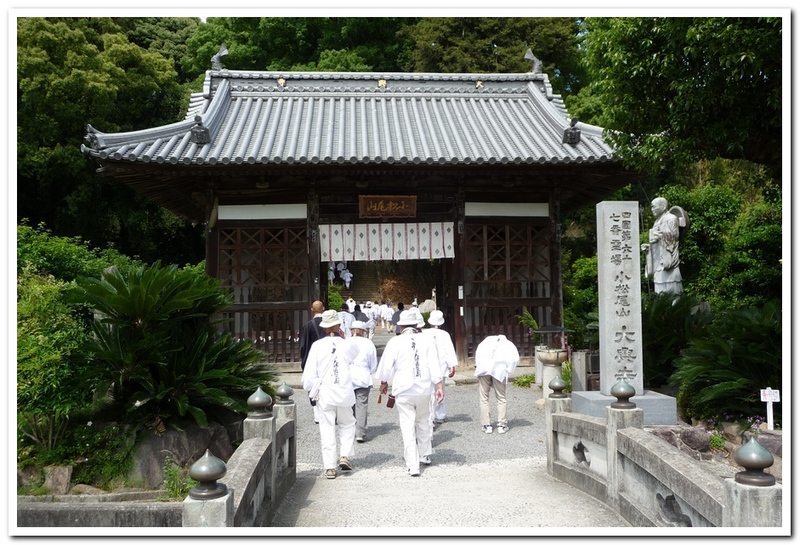 The mountain was still covered in cloud as we began the slow, steep descent. 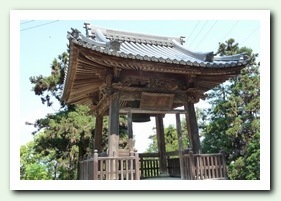 We soon entered Kagawa prefecture. 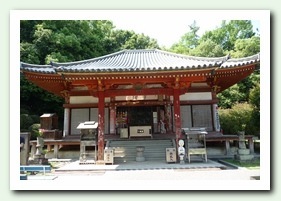 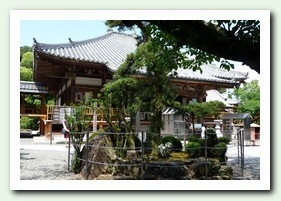 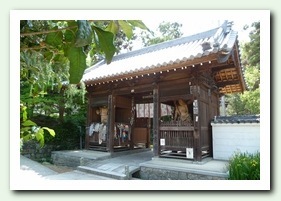 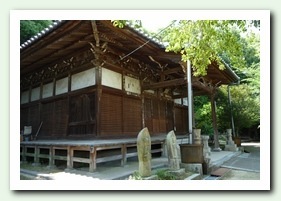 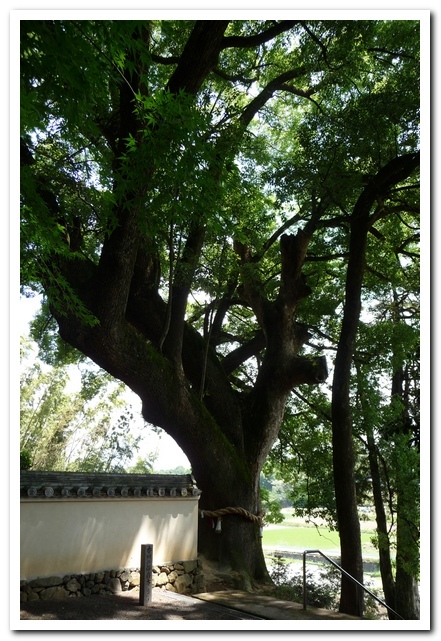 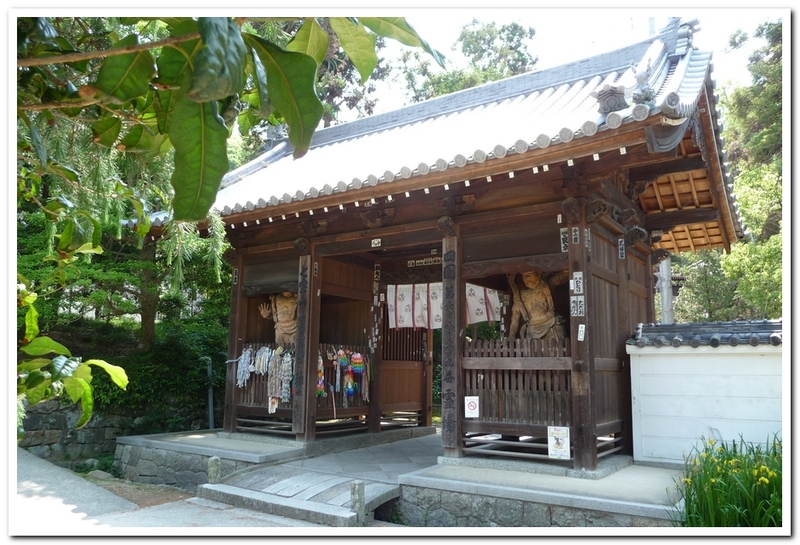 At Temple 67 Daikoji (Temple of the Great Growth) there is a tree said to have been planted by Kobo Daishi in 822. 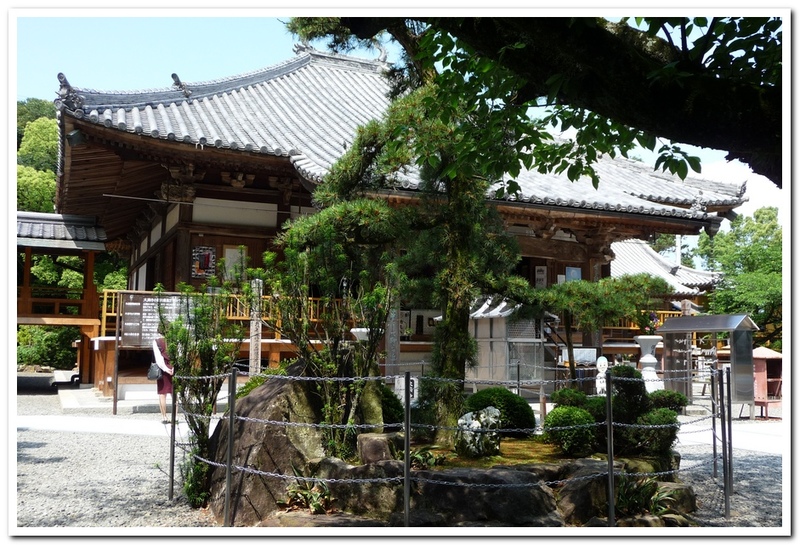 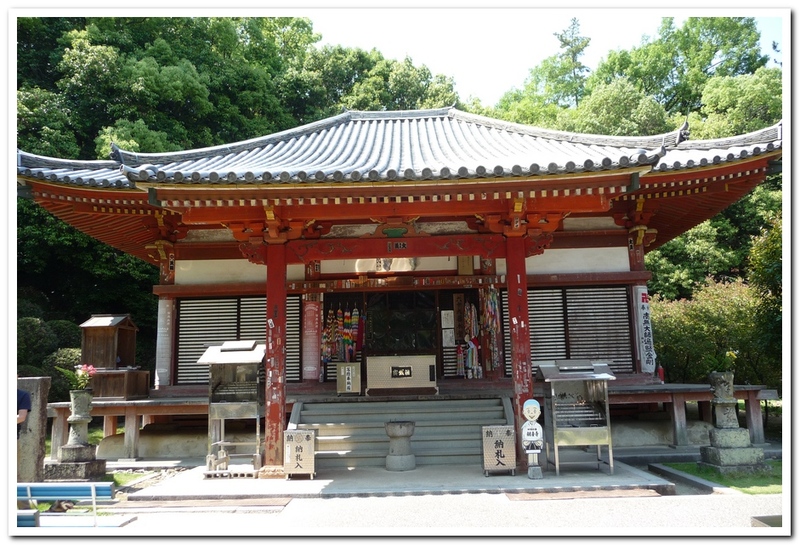 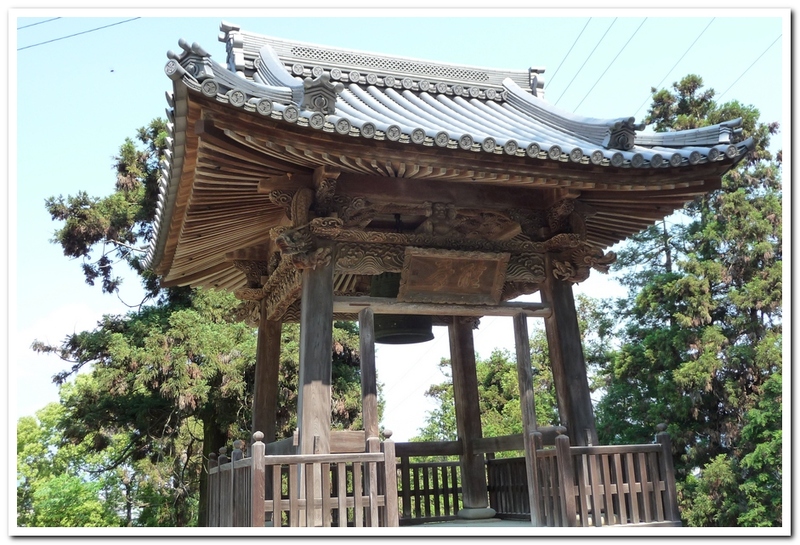 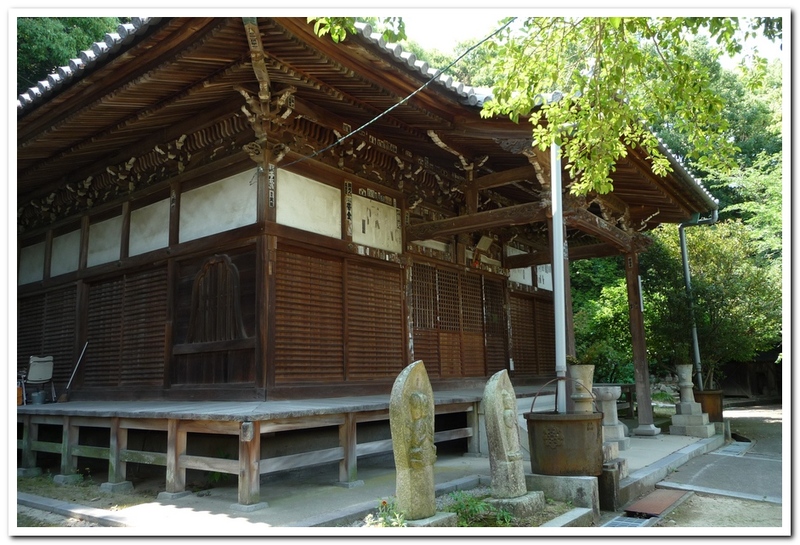 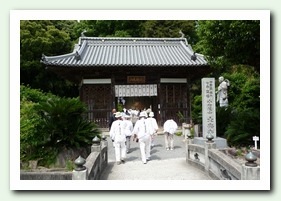 In Kagawa Town is Temple 68 Jinnein (Temple of God’s Grace) and Temple 69 Kanonji (The Temple of the Kannon), both in the same grounds. 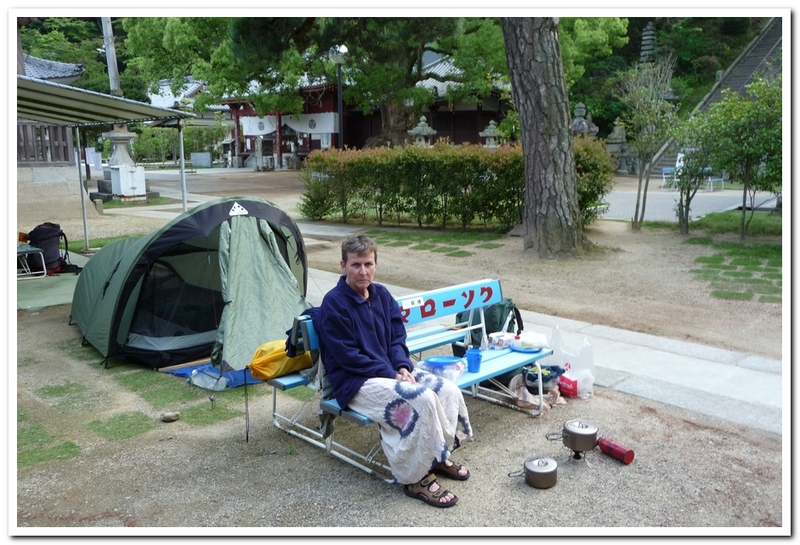 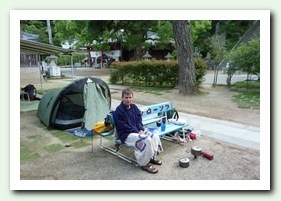 We were given permission to put up our tent there in front of a little shop once the Temple closed for the day.